Members can purchase discounted Kings Island Tickets during the spring, summer and fall seasons. 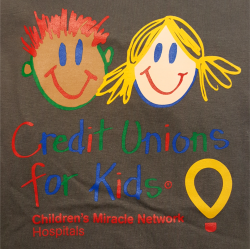 Stop by the credit union to buy yours! Every Thursday employees are given the option of going casual in jeans in exchange for a $3 donation. At the end of the year, the donations are tallied and given to several local charities and non-profit organizations. In 2016, $1,240 was raised and donated! Donations were distributed to Dream Catchers Community Development Corporation, YWCA Sojourner’s Shelter for Homeless Women & Families, Cincinnati Children’s Hospital Medical Center and Hospice Care WV. 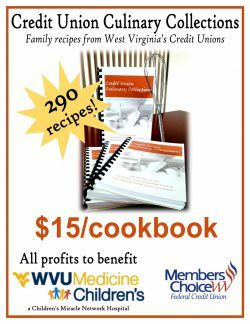 In support of WVU Medicine Children’s, we’re selling special edition family recipe cookbooks for $15 and donating 100% of the profits to the cause. Pick up your copy at the credit union today! Every year we’re humbled by our staff coming together to provide a family with Christmas through the Union Mission Adopt-A-Family program. We enjoyed every minute of shopping, wrapping and the delivery this year! Donation buckets were placed in our lobby in front of the teller line in support of two great local organizations. New or used shoes, along with pesky “widow” socks we’re collected in our lobby. We had such a great response that we plan on holding these drives again soon! 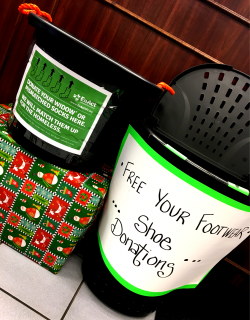 Free your Footwear is an awesome up-and-coming organization created by local youth that is already making a huge impact locally and internationally! The local EnAct Communtiy Action assists people right in our community daily, and takes in mismatched socks every year to distribute to the homeless!